If you are looking for a quality used vehicle here in Garner, Capital CJD is the place to go. Our Certified selection undergoes a rigorous, 125-point inspection process to ensure that you are getting a quality Chrysler, Jeep, Dodge, or Ram vehicle. You will also get peace of mind with our 7-year/100,000-Mile Powertrain Limited Warranty, 24-Hour Towing and Roadside Assistance, CARFAX® Vehicle History Report™, and much more! 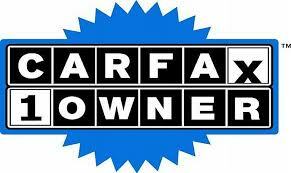 Come and visit our certified used vehicle selection on our lot today at 200 Waterfield Ridge Place, Garner, NC 27529. Our dealership is easily accessible to drivers throughout NC, including those in Durham, Raleigh, Cary, and beyond! For a quality used car, truck or SUV at an unbeatable price, visit Capital Chrysler Jeep Dodge Ram in Garner today!